As you will be aware from the previous post, SANParks applied for leave to appeal against the judgement on 22 March, in the matter of Parkscape vs MTO and SANParks. After taking considered legal advice Parkscape chose not to appeal the judgement. 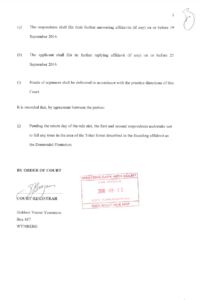 SANParks’ leave to appeal was granted by Judge Pat Gamble on 25 April 2017, and Parkscape will meet SANParks in the Supreme Court of Appeal at a future date. 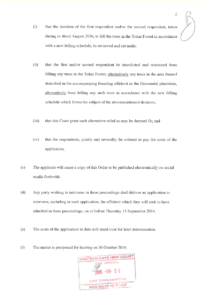 The Court Order may be viewed at Granting of Leave to Appeal April 2017. We are clearly in for the long ride but during that time shaded recreation will remain. We are currently fund-raising to meet the cost of the Supreme Court of Appeal hearing via our inaugural Golf Day to be hosted on 8 June 2017. (See HERE for more information.) We also plan to hold further community-focused fundraising events. We do not, however, expect to be able to cover the full cost of the appeal with the funds raised from the Golf Day and smaller events. 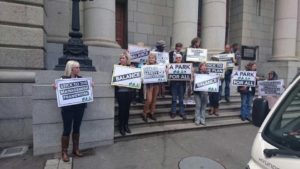 To this end we once again appeal to the generosity and community spirit you have previously shown in supporting the work Parkscape is doing with regard to SANParks and Tokai Park – particularly given there is likelihood that this case may go all the way to the Constitutional Court. 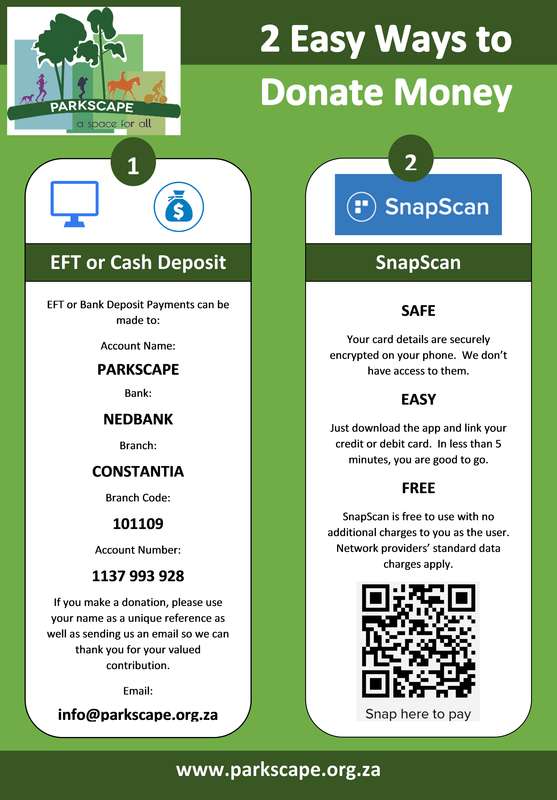 Should you wish to donate, please find our banking and Snapscan details below. As ever, we thank you for your generosity and support through this entire process. 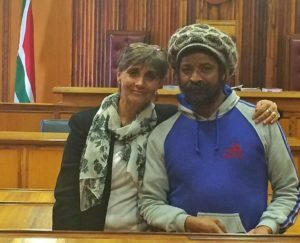 On 1 March, Judge Patrick Gamble delivered judgement on the matter between Parkscape vs MTO Forestry (the first respondent) and SANParks (the second respondent). 5. The 1st respondent shall pay its own costs of suit. 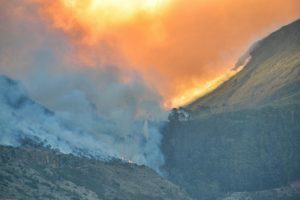 On 22 March SANParks file Leave to Appeal. At this stage we do not know when Judge Gamble will hear the application. 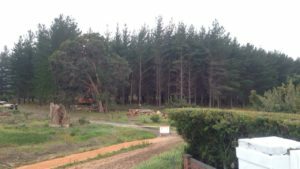 On Tuesday 30 August 2016 logging teams moved into Tokai Forest with military precision and in a manner that was arguably an act of bad faith. 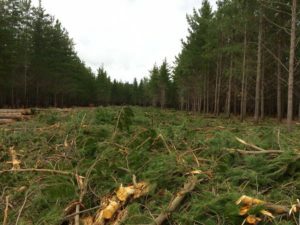 Residents living adjacent to the plantation were only informed the night before, while no one else in the community was aware that felling would begin, or that it would be conducted on a 24/7 basis. 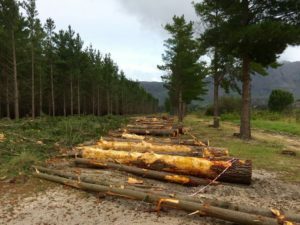 This hasty felling indicates a deviation from the Tokai Cecilia Management Framework negotiated in 2006 by affected stakeholders, SANParks and the City. It is somewhat ironic that Gavin Bell, Area Manager TMNP South, stated at a Parkscape community meeting in July 2016 that TMNP would indeed adhere to the Framework. 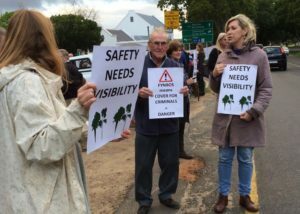 Adherence will not be possible if the logging continues and if the botanical vision for an area of all-fynbos proceeds. 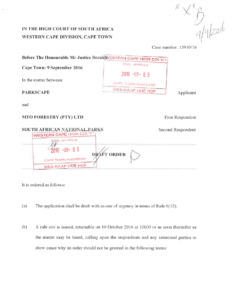 Following concerted attempts to engage with SANParks, MTO and their legal team, Parkscape chose to confront the logging operation and deviation from the Management Framework head-on. Together with our legal team, Parkscape has, through concerted efforts, forced SANParks and MTO to cease felling from the Dennendal Avenue West area (i.e. 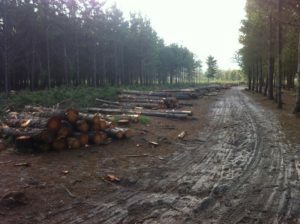 all forested areas on the east side of Orpen Road/Spaanschemacht Road) – but only for one week. While felling will stop in the Dennendal section for one week as of 31 August 2016, it will, however, continue in the sections opposite (i.e. on the west side of Orpen Road/Spaanschemacht Road). 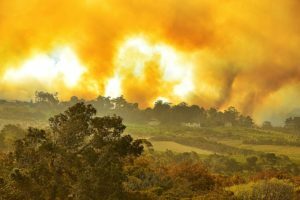 This means that Tokai will be losing pines, which we accept are a commercial crop, at a rate of over 100 per hour, day and night. 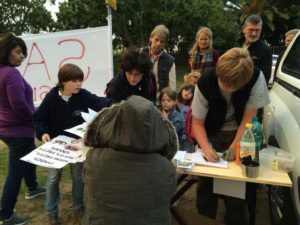 Should we win the interdict, the need will be to ensure that a proper and procedurally fair public participation process is embarked on – and completed – before the pines are felled, so that we still can enjoy and use our communal space as agreed to in the Tokai Cecilia Management Framework. We expect to be in court on Friday, 9 September 2016, represented by Junior and Senior Counsel, and our attorney. Should we win, the process will continue further and Parkscape will need to find additional funds to pay our legal team. We need to be able to show that we have funds to pay the future costs associated with the legal case. Without this, what remains of the Lower Tokai plantation, in a deviation from the Management Framework, will come down in the second week of September.